As expected, Virgin Media will launch its 50Mb super-fast broadband package on Monday 15 December. TechRadar made the far from bold prediction that the erstwhile mystery event would be the launch of the service – and so it has proved with a new invite confirming the event. The 50Mb broadband service will be the fastest in Britain and has been extensively tested by the company through this year ahead of its launch. The fibre optic service has already caused problems for the online speed-tester industry with Virgin openly pointing out that the tests are not accurate for high-end broadband packages. 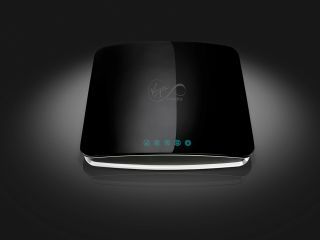 Virgin has already shown off the new look modem for the service, but details on the rollout will be announced on Monday.